I am such a tea addict, whatever bio on whatever social media you read I can almost guarantee it will say about my love for tea! My favourites (you will already know if you read my tweets) being green tea and plain old boring black tea! These don't take alot of effort as it is but when I heard about these new "teapods" I thought to myself.... why didn't I think of that! These teapods are from the company Bistrotea and are a simple and unique way to get that all important cup of tea without the mess and effort of a regular teabag. I was lucky enough to be sent some of these teapods to try out by the lovely people at Bistrotea. There are 11 snazzy flavours to choose from which at first scared me as I am a bit of a wimp when it comes to trying out new things - especially foods and drinks but I plucked up the courage and actually really enjoyed tying out load of new flavours! Using teapods couldn't be easier. Just choose the flavour you want, pop it in your mug and stir whilst pouring in your boiling water -done. We are British - we love tea. But I'm sure we are all guilty of dripping tea all over the place and/or burning ourselves with teabags on a regular basis! These little beauties need no squeezing or wringing to extract the flavour - with just the quick stir your cup is brewed to perfection - how easy is that - bye bye drips and burns. It also totally dismisses the need for a teaspoon as your use your pod to stir - that means less washing up people! My favourites have got to be the red tea in Strawberry and the black tea in Apple Cinnamon - which was a total surprise to me as they are flavours that I've never tried before and things I wouldn't ever normally choose. These teapods are fab - I am totally hooked! I love how easy they are and all the different flavours really have me sold! Now I have rambled on with my thoughts and feelings about these teabag replacements we will get to the bit you guys are probably really interested in - how to win a year's supply of teapods. Bistrotea and their lovely dog Tufty are giving you the chance to win a year's supply of TeaPods, worth £175.20. 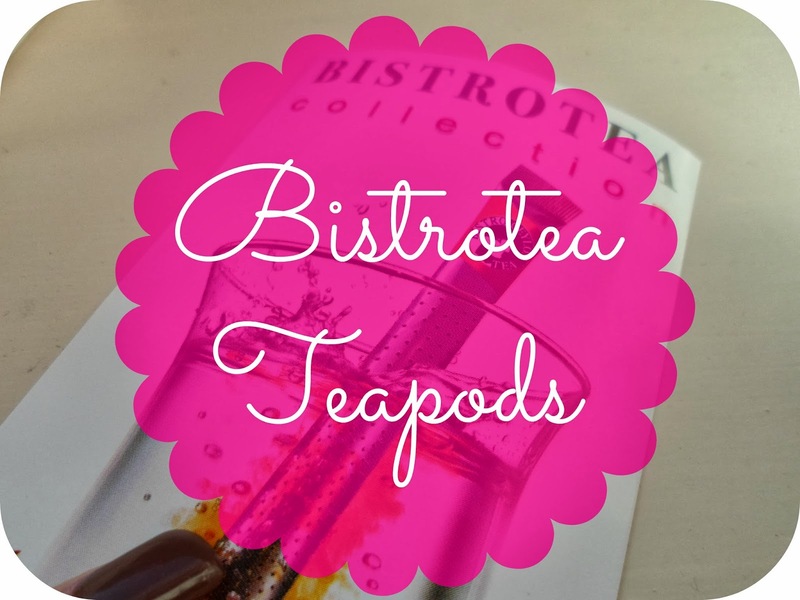 How many blends of Bistrotea TeaPods are currently available? Just head to the link above and follow the instructions to enter - make sure you also check out the brilliant, unique way that the winner will be choosen too! Complete tea addict, this was like a post made in heaven haha! These all sound lovely.